The easiest way to participate in National Coloring Book Day is to crack open a book and get coloring! But, since everything is more fun among friends, we've made it easy for you to find, join, or host your own coloring party. Find a spot with enough room to fit your friends and other colorists you might meet online- this could be a local cafe, library, or your living room! To make it an official National Coloring Book Day event, have your event listed on our site so that like-minded colorists find it! Here are some tips on how to throw a successful party. 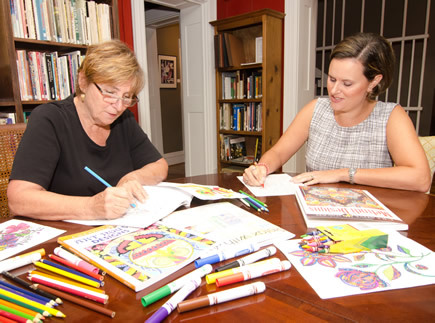 You can even host your own coloring event!